Do you know what! 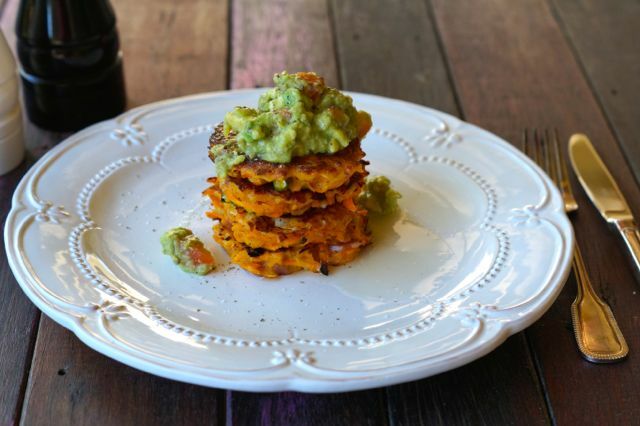 These paleo pumpkin, carrot and bacon fritters are delicious! Perfect for weekend breakfast (or any meal really!). 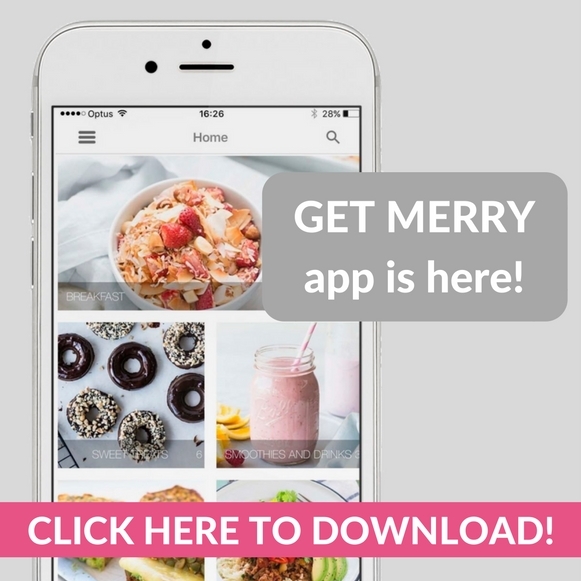 We made them with our mini merrymaker (aka our intern!) and she loved them too! We think they’d make the best addition to a brunch gathering. You can definitely make them the night before and serve them cold or make a big batch and keep them warm in the oven before your guests arrive! Serve with guacamole (yum)! 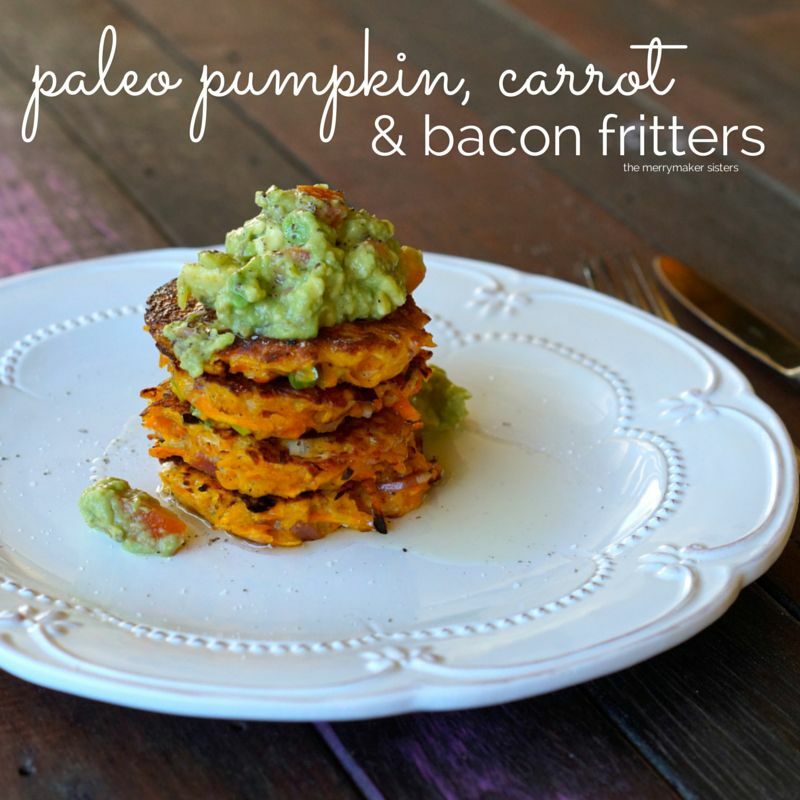 Pretty sure these paleo pumpkin, carrot and bacon fritters are going to be on high rotation in merrymaker kitchen! Fry up the bacon and shallots in a large pan until just cooked. In a large bowl combine all the other ingredients, the mixture should be a little sticky. Add the bacon and shallots and mix well. Melt a little coconut oil (or use excess bacon fat) in the fry pan on medium heat. Place about 5 spoonfuls of mixture into the pan, press down slightly with the back of a spatula. Cook for about 2-3 minutes or until golden brown, carefully flip and cook the other side! Place all the cooked fritters on a plate, cover with foil to keep warm and continue the fabulous fritter fun (aka cooking) with remaining mixture! We served ours with guacamole and they were delish! Next time we're thinking we might add a side of grilled veggies or extra eggs and bacon!